I’m a complete chocoholic so when I was trying to come up with a summer dessert for a barbecue recently, I decided that a chocolate cream pie was the way to go. 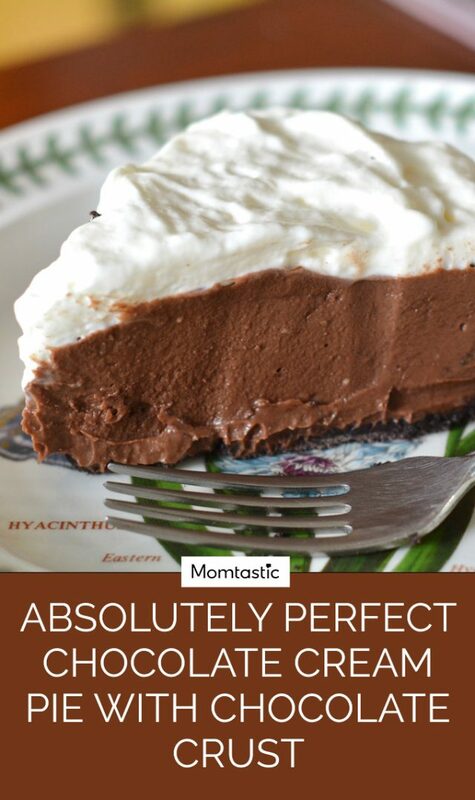 No fussy crust and…chocolate. 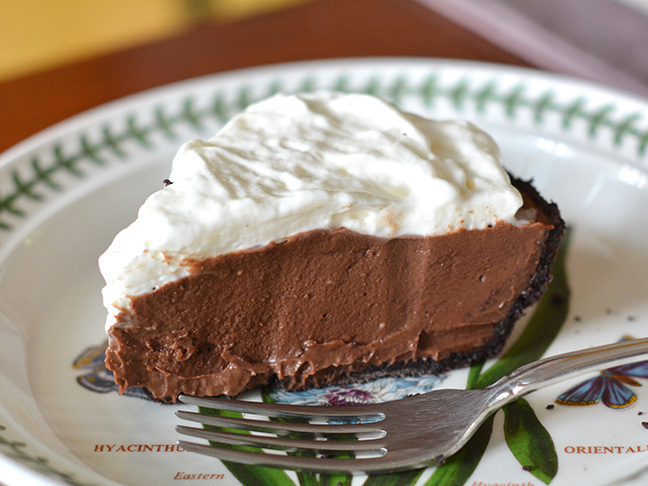 To make it even more decadent, I decided to make one with a chocolate crust — so I came up with this Chocolate Cream Pie with Cookie Crust. Now, this isn’t your ordinary pudding from a box chocolate cream pie. The melted chocolate in this recipe is enhanced with a touch of vanilla and espresso powder, making it worthy of a nicer dinner party, too. The extra steps are well worth it but if you are short on time, you can buy the cookie crust (I won’t tell!) or make it from scratch. 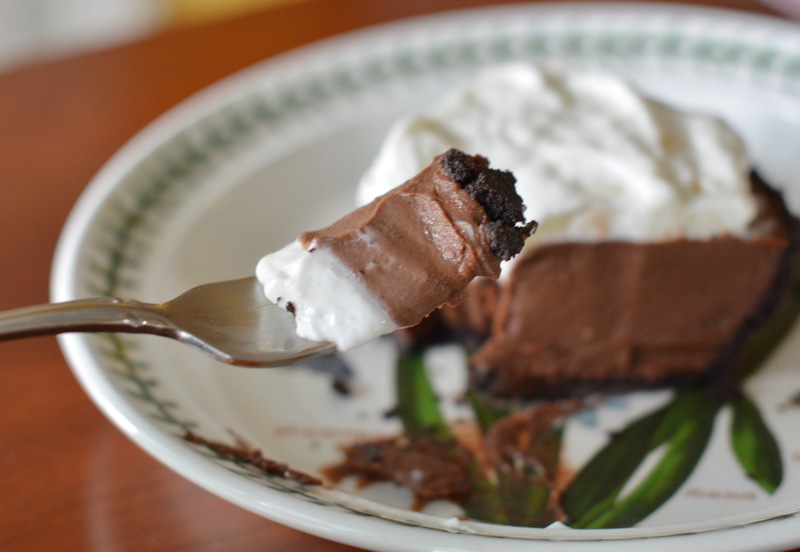 If you are looking for a chocolate cream pie recipe that is so delicious that you could eat a slice of it every day for the rest of your life, then follow the steps below. You can thank me later! Step 1: To make the crust: Preheat the oven to 350 degrees F. Combine the cookie crumbs and butter in a bowl. Press into a 9-inch pie plate to form the crust. Bake the crust for 10 minutes, or until fragrant. Set aside to cool. Step 2: To make the filling: Add the butter, chocolate, and vanilla extract to a heatproof bowl and set aside. Add the sugar, cornstarch, espresso powder, salt, cream, and milk to a saucepan. Bring to a low boil over medium-high heat for 1 minute, then lower the heat. Whisking constantly, add a little bit of the hot milk mixture to the bowl with the egg yolks and keep whisking to temper the eggs. Then add the eggs to the milk. Bring the mixture to a boil again for 1 minute, then reduce the heat to medium-low and keep whisking continuously until the mixture thickens. Step 3: Once the mixture has thickened pour it into the bowl with the chopped chocolate, butter, and vanilla and stir well, until the chocolate is smooth. Pour the chocolate into the cooled crust. Cover it with plastic wrap and chill for at least 6 hours or overnight, until firm. Step 4: Make the whipped cream by whipping the heavy cream, sugar, and vanilla until thick. Spread on top of the pie and serve!